Invite your guests into a rare fine dining experience set in a French country château. Surround yourself in understated elegance in a relaxed, welcoming atmosphere featuring four themed dining areas, a private banquet room, lounge and outdoor dining terrace. 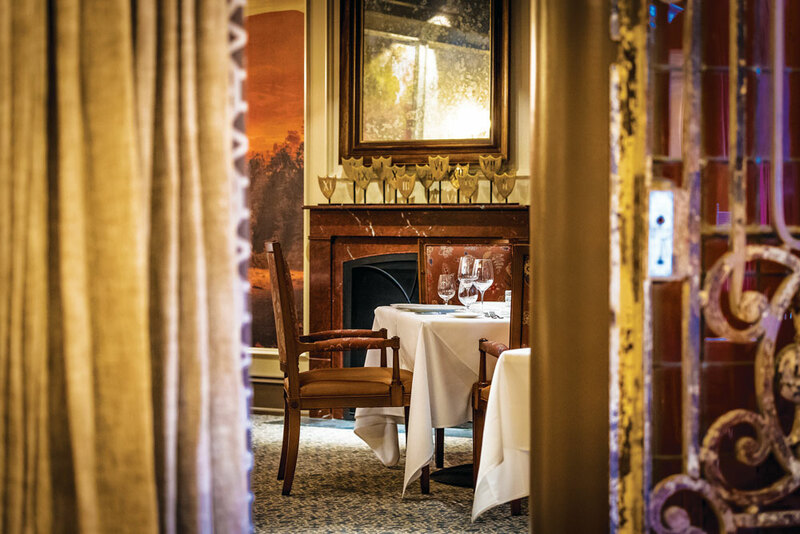 Enjoy meticulously crafted dishes, personalized menus, exquisitely paired wines, fine artwork and unsurpassed service, while we attend to every detail. Plan your next corporate event, celebration, or special occasion at Cru Uncorked. Our team is here to assist you in making it a memorable one. Enjoy dedicated staff, special menus and expert wine pairings that will compliment your meal and impress your guests. The ideal location for private parties and corporate events, Cru Uncorked is minutes from I-271 and I-480 making it a destination experience with a convenient location. 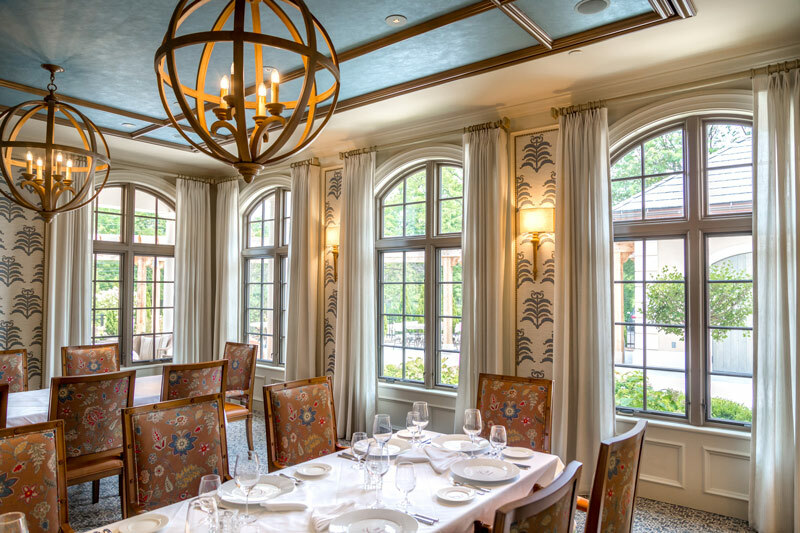 Each of our four dining rooms is available for special reservation and can accommodate up to 22 guests. Stunning vineyard-inspired artwork and period antiques pay homage to the winemaking process. Anchoring fireplaces, smoky woods, rich textiles and plush upholstery surround guests in understated elegance. Dining rooms can be sectioned off with thick, elegant curtains to provide a more private dining experience. The Banquet Room offers fully dedicated service and the full benefits of Cru Uncorked in a private setting. Walls are upholstered in elegant blue and white French print, complimented by two centerpiece chandeliers. While four nearly floor-to-ceiling windows overlook the garden and dining terrace. The Banquet Room comfortably seats up to 18 guests at a large, center table with upholstered chairs. Smaller table configurations are available upon request. Our lovely outdoor terrace is screened for privacy with tall foliage and is located next to the Cru Uncorked garden. Available for special reservation as the seasons permit, it can accommodate up to 32 guests. For parties exceeding 14, we ask that our guests speak with our team about a more limited menu. An automatic gratuity of 20% will be applied to parties over 8.